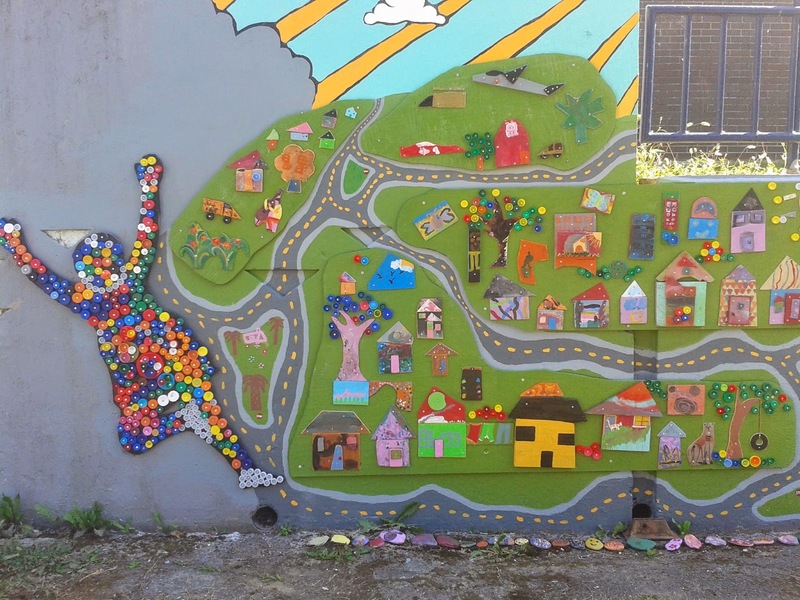 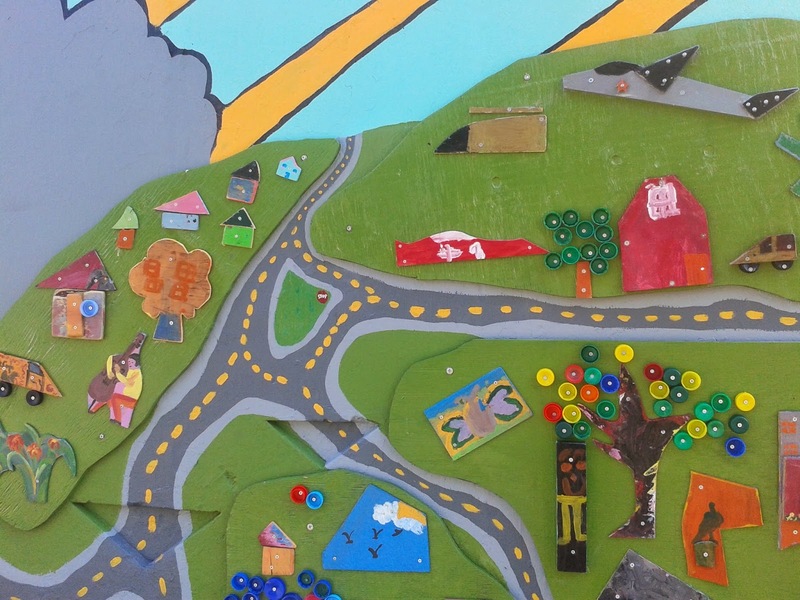 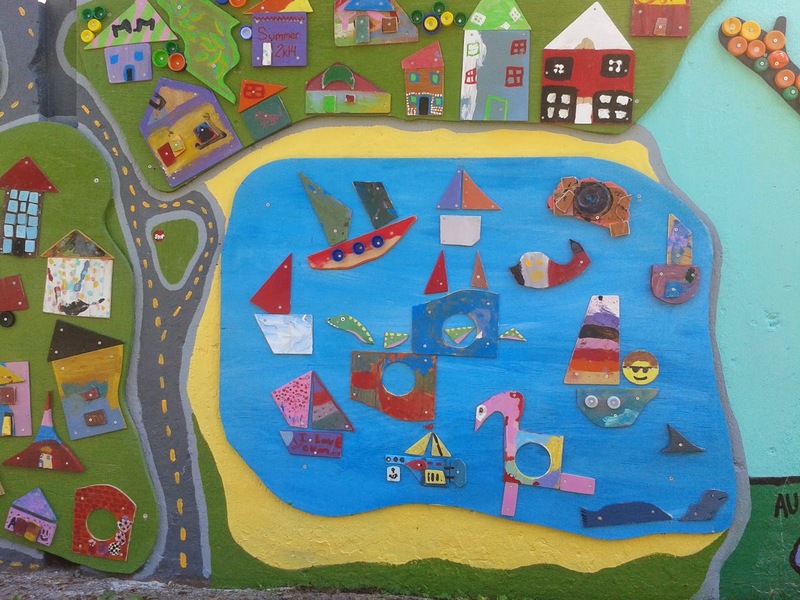 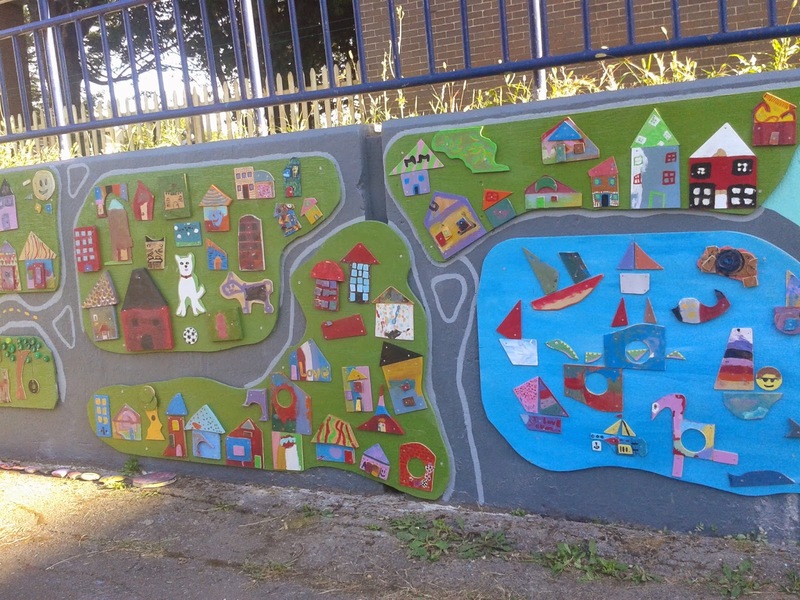 ART BIKERS: Bayers Westwood Mural! 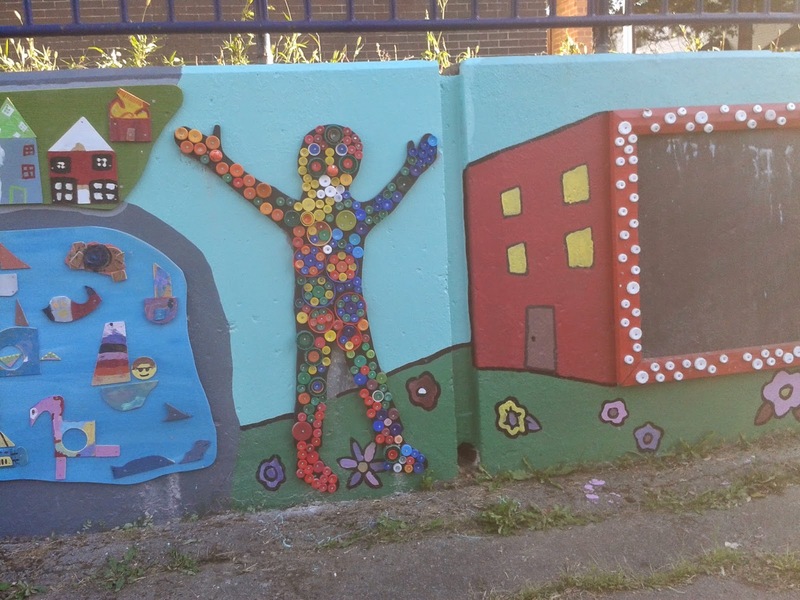 The mural on McAlpine Street in the Bayers Westwood community has been a two year project so far. 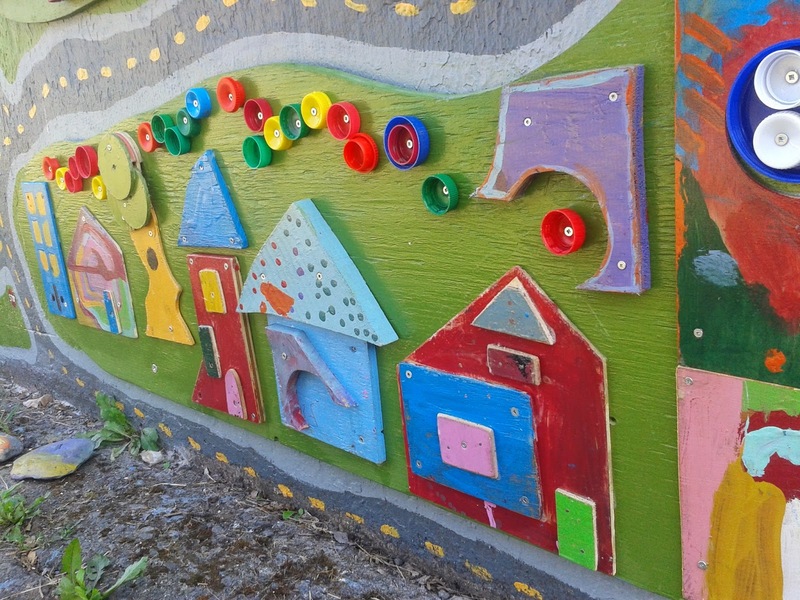 Residents in the area asked Art Bikers to help transform the grey concrete retaining wall many years ago. 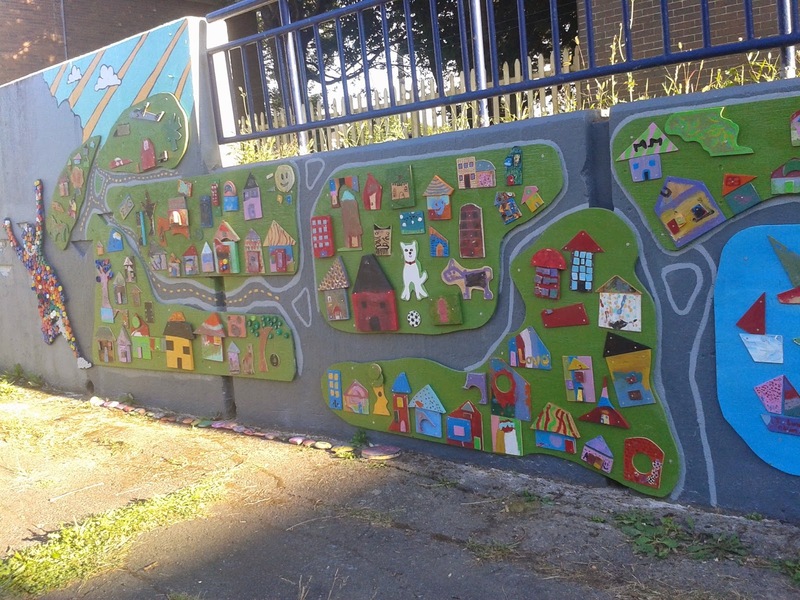 In 2013 Art Bikers started worked with community members to transform one section. 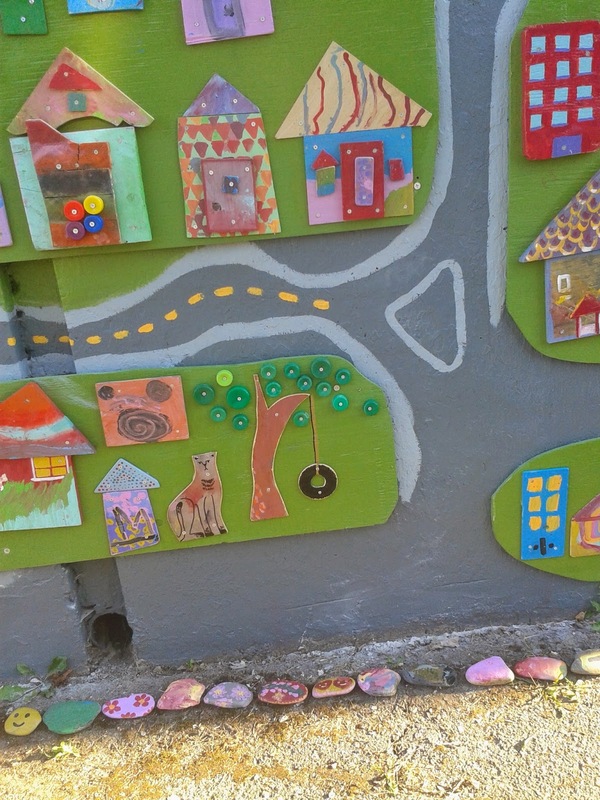 These photos below are from the second stage in 2014. 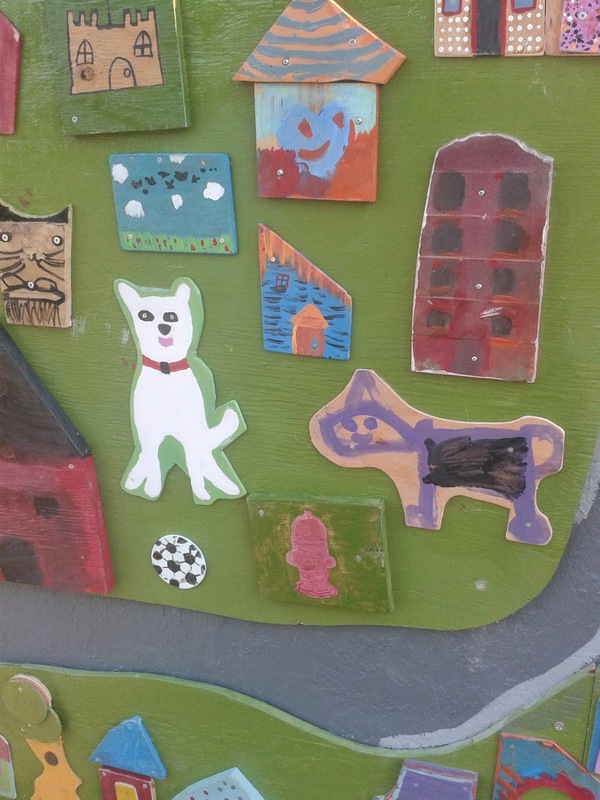 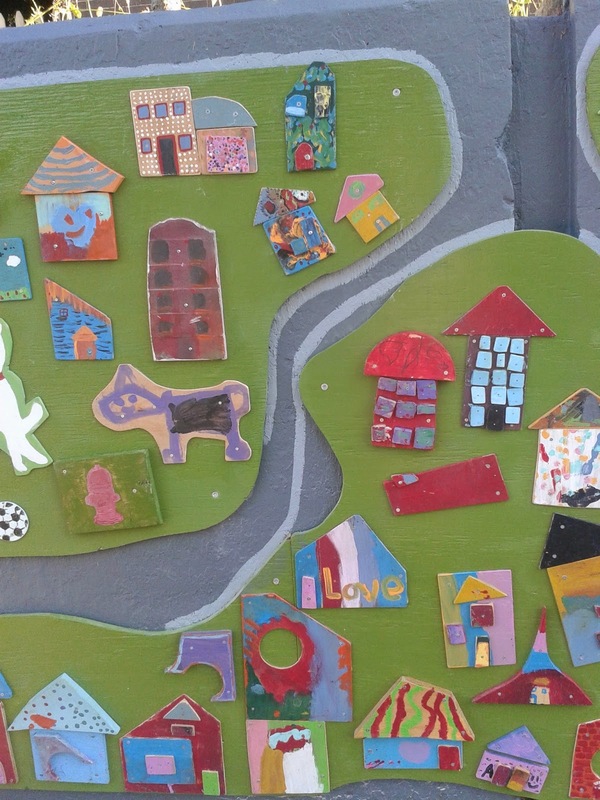 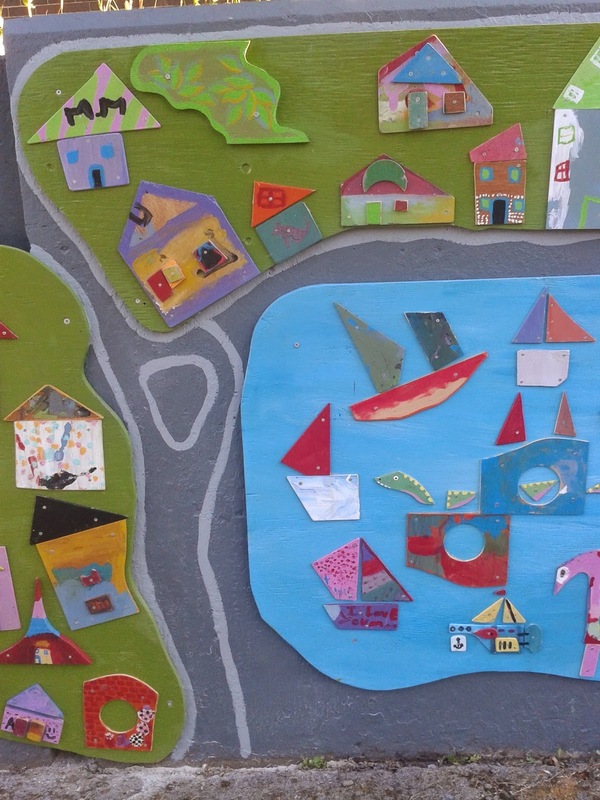 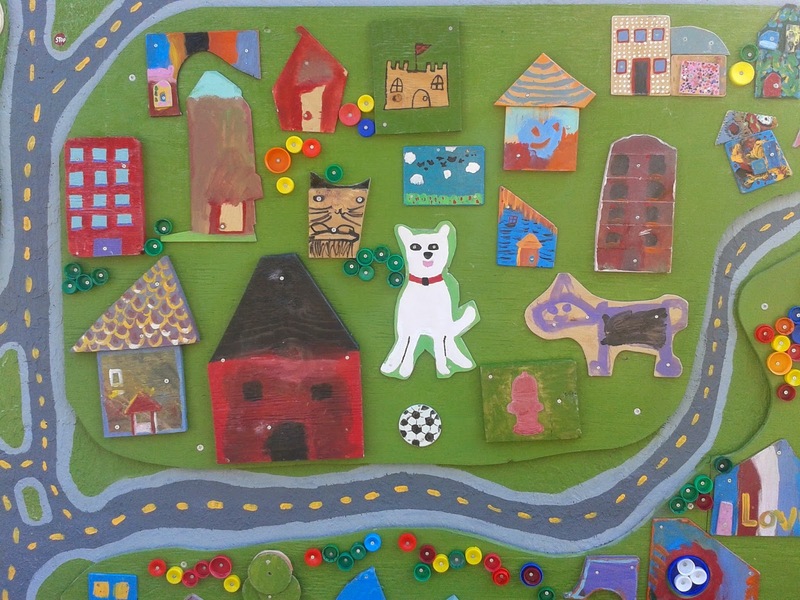 The wooden pieces are original works created by neighbourhood children over the summer. 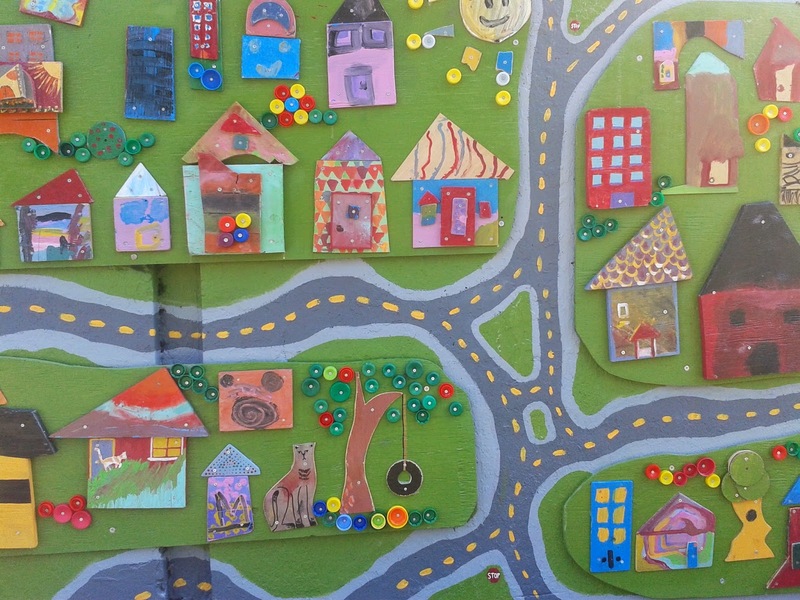 Then the children worked with the Art Bikers to paint the community map. 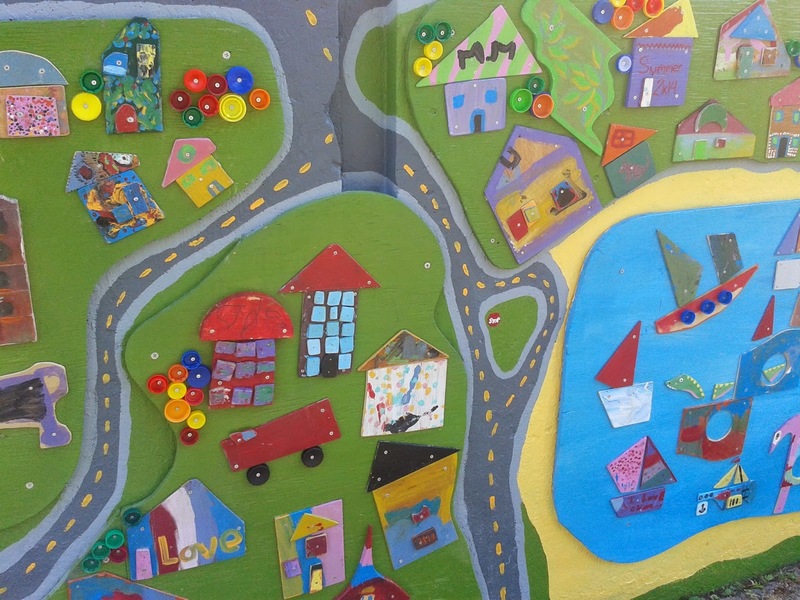 We are looking forward to 2015 and adding another creative section to the wall.